We were discussing in our playgroup, whether PW's would be broken as generals. After few hours of talking and some play-testing, we came to the conclusion, that they are not that broken. Each time, we found some legendary creature, which could do the thing faster or better. Only few green would be strong thanks to Doubling Season, which could be banned. I think that allowing new 97 generals is worth getting rid of one card and let's be honest, I never saw Doubling Season being played without abusing it. 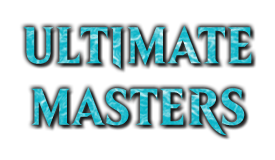 We tested Ugin, the spirit dragon, Jace, the mind sculptor, Arlinn Kord, Sarkhans, Chandras, and some others, but never found them too broken or impossible to play against. Only ones which could be broken, are Sorin Markov because setting life on 10 and probably Liliana of the Veil because of possible stax build. Did someone of you house-ruled PW's as legal generals? Did you did some testing and if yes, what were the results? And, what are your opinions for allowing and for not allowing them as generals? I don't think they should be officially allowed as commanders because it doesn't really add anything to the format. I would like to comment that banning a card just to make this work is a bad idea. Doubling Season is a great casual card and if that is the deciding factor between allowing Planeswalkers as generals, then I say we don't let the Planeswalkers be generals. What would be next? Deepglow Skate? Gilder Bairn? I agree that Doubling Season is the most egregious offender in this hypothetical scenario, but it hardly seems bad enough to warrant banning. That being said, the last time this topic came up, I was against it. It doesn't offer enough to the format as there are no color combinations that Planeswalkers have that Legendaries don't currently already. And we have plenty of Legendaries that we are not wanting for a lack of options. However, as part of the discussions of that thread I guess I came around to the idea of "eh..whatever". There doesn't seem to be a good argument from either side to really push the discussion from one side to the other. Once the novelty wore off, it would just feel like a normal thing for the format and I don't think it would change a whole lot. The only real concern is a Planeswalker becoming oppressive enough to warrant banning which means we remove that card from the pool of cards entirely just because it is overpowered as a general. I don't know what planeswalkers this would be (Karn Liberated, Ugin, the Spirit Dragon and Tamiyo, Field Researcher come to mind right away). I don't know that they would be overpowered. It's just that their abilities may seem oppressive in more casual metas. Who knows though. Anyway, I just voted "I don't care" because I really don't. It seems like enough people would be happy with this outcome and it doesn't seem like it would break anything. I voted no because the few that can were specifically designed for that purpose. Most of the others become to hit or miss with regards to power level, and it's mostly the hits i fear will take the fun out of the game. Can you imagine playing against a dedicated Gideon deck with Gideon of the Trials as it's commander? I don't really care. I think planeswalkers are cool commanders and allowing them could bring new deck archeotypes to the format. I don't think planeswalkers would over shadow creature generals because most planeswalkers are pretty tame and harder to abuse. What is so bad with Gideon tribal deck? It seems more cute than good. Going with NO as well, part of the formats identify is the commanders themselves and the ability to deal commander damage therein. 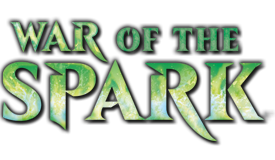 Minus some enchantment/artifact shenanigans and an army of Gideons, there is no way for this element of the format to factor in with planeswalkers. Additionally, some key planeswalkers have notable color identitiy advantages (against other PW commanders) or have back-breaking abilities when they are easily repeatable in the command zone (All but the duel deck Nicol Bolas, Ugin, Sorin and Tezzerett 1.0, among other) just adding an additional "unfun" element to the game that already sometimes has some issues with Stax and other such strategies. I actually want it to go further and allow artifacts and enchantments and non-legendary creatures as your general, because that's where the fun of the game comes from for me, building decks to take advantage of your commander. I currently feel blocked by the cards that are printed, and feel like the commander pool needs to be greatly increased. Planeswalkers are mostly weak commanders anyways, I have no idea why so many people talk about them as too strong. Do you really expect them to outperform the broken stuff that's already out there? 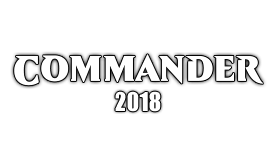 We have commanders that have deterministic wins if you untap with them, and commanders that are above the curve standalone stats that also are part of 2 card game winning combos. I am not worried at all about planeswalker commander strength. 685 as of AKH isn't enough for you? Don't be silly, at least 600 of those make terrible commanders. I don't see a problem with playing against a mono-white Gideon deck. Maybe you can explain to me what you mean? Because I don't see it. Some PW's can do commander damage. Also, you have high number of generals, most of them actually, who just don't win the game on general damage. Nicol Bolas isn't that strong, 8 CMC, come on. Ugin is strong, but he is colorless and doesn't draw you hand like Kozilek does. Tezzerett doesn't do anything more than Arcum can do. Yes, Sorin could be a problem. Theros gods are actually viable legendary enchantments that don't ever need to transform into creature and still work as generals. By the way, some of the PW's are playable generals already, but there is no artifact, regular enchantment or non-legendary creature viable as general. You're just trying to make fun but without arguments. Maybe it can work. It will be chaotic tough releasing Planewalkers all at the sametime. I don't think you understood the point of my post. There are not enough legal commanders in print to keep me interested in playing commander. I feel like I have exhausted enough of the deckbuilding space that I am now bored. When you add the restrictions that the deck can't just be a joke or the same goodstuffs, and look at how many commanders are just worse than others, there isn't enough left. That doesn't make a whole lot of sense though. I don't want this to sound like a personal attack, but arguably, that sounds like a problem with you, not the format. We already have 650+ Legendary creatures. Of which (according to you) 600 are "terrible". Which means 1% of these are "good". So, you add in 80+ Planeswalkers. Based on your categorization of existing Legendaries, it would stand to reason that only 1% - 2% of these must be good, right? So you have increased the pool by about 15 (at the absolute most). Then, you mentioned above that you want Legendary Artifacts and Enchantments to be commanders. That adds another 90 or so. And, 1%-2% leaves us with about 20 good ones. So your reasoning behind adding 30+ options is that you are bored. That's fine. You can be bored. But I don't think you can use that as an excuse to change a fundamental aspect of a format that many players play and enjoy. Considering that you said you also want non-legendary permanents to act as commanders suggests that EDH, in its current form, is not a good fit for you (and possibly your playgroup). And that is fine. It doesn't have to be. But these suggestions point to a path where you might need to come up with your own format. These seem to be really heavy-handed changes to be making just to cure your "boredom". As I mentioned, I don't care either way regarding planeswalkers. 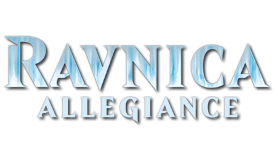 Planeswalkers arguably (from a lore perspective) have every right to be commanders. Why can Xenagos, God of Revels lead my deck but Xenagos, the Reveler can not? There is no such argument that I can think of as to why a sturdy chair or a stick or a philosophical concept gets to be at the helm. Planeswalkers are on point flavor-wise as WizardMN pointed out. I wouldn't mind if they became legal, though they would shift the format to a not-insignificant degree in that every deck would need more answers to planeswalkers (kind of like how every deck needed answers to tuck back in the day). Some colors or strategies might have more trouble with that than others, but it's all good. 494 that have more than one line of rules text, and I guarantee that somebody has built a deck to leverage the ability of all of them. That number is even excluding some highly-played commanders, such as Azusa, Lost but Seeking; it was simply an easy search query to build. Even some of the vanilla/French vanilla legends get used, either for flavor (eg, Ramirez DePietro) or for aggressive mana cost (Isamaru, Hound of Konda). If you can't find a commander you'd like to play, that's a failing on your part, not on Wizards or the RC. Personally my main issue with PW as commanders is that BaaC doesn't exist anymore, so we'd just be culling cards from the pool without much benefit. There is far from an infinite amount of commanders that provide interesting synergy to build around that simultaneously results in a deck that is good enough to play at a mid level table. Flavor commanders are discarded immediately, the decks that surround them do not interest me in the slightest, they remove all possible interesting deckbuilding and play decisions by their restrictive nature of remaining in flavor. They are weak, boring decks that are not fun to play. Then you have commanders that have rules text but aren't good at all. Phenax, God of Deception - Good general. Strong, mostly unique effect that is worth building around. Gisa and Geralf - Boring general. Just put zombies in your deck. Effect is weak. Would never play. Lazav, Dimir Mastermind - Another boring general. Rules text is weak. Grimgrin, Corpse-Born - Good general, worth building around, much more interesting stuff you can do compared to gisa and geralf for example. Oona, Queen of the Fae - Boring general, mostly serves as a mana sink for infinite combos in goodstuffs or a canned weak faerie deck. Vela the Night-Clad - Good general. The leaves the battlefield trigger is the interesting one here. Dralnu, Lich Lord - Boring general. The downside on him is much too severe for anything other than degenerate use, and he's not good compared to similar combo generals. Wrexial, the Risen Deep - Boring goodstuffs general. Nothing to build around here. Sygg, River Cutthroat - Would be interesting if the payoff was more than drawing a single card. Mirko Vosk, Mind Drinker - Boring general. Worse than phenax. Dragonlord Silumgar - Boring goodstuffs general. Nothing to build around here. The Scarab God - Good general, stuff you can build around here. Skeleton Ship - Boring general. Weak and useless. Circu, Dimir Lobotomist - Boring general. Weak and useless. Worse than phenax. Silumgar, the Drifting Death - Boring general. Nothing to build around. Szadek, Lord of Secrets - Boring general. Overcosted, worse than phenax. Nebuchadnezzar - Boring general, effect is too weak. Silas Renn, Seeker Adept - Boring general, nothing to build around. Ramses Overdark - Boring general, effect is too weak. Sivitri Scarzam - Boring general, vanilla. Princess Lucrezia - Boring general, effect is too weak. Riven Turnbull - Boring general, effect is too weak. Ur-Drago - Boring general, effect is too weak. So of these 25 dimir generals, I would only consider playing 4 of them, and then of those 4 remaining, there are additional considerations such as "I've seen phenax a bunch so I don't care to make one". There is far from an infinite amount of generals I would consider playing. I am not coming at this as a new player. I am coming at this from the perspective of someone who has made dozens of commander decks and wants more options. This sounds like a very personal problem and not one that will be fixed with the maybe 20 worth while planeswalkers, assuming none of those ~20 got banned lol. This reads more like a lack of imagination on your part compared to a lack of choices. That's why I said I wanted more than planeswalkers and legendary creatures to be generals. I have higher standards. If I've seen the general played a lot, it's not interesting. If the general doesn't offer something unique to deckbuilding, it's not interesting. If the synergy offered by the general isn't able to keep up with normal good stuffs plays, it's not interesting. There is a finite number of interesting choices left after you apply these filters, and I feel close enough to that limit that the game needs more content. I don't care that there are 600 bad commanders. They might as well not exist for all the fun it is to play with them. They wouldn't even have to print new generals to add more content, because they could just make stuff that already exists legal as commanders. Out of curiosity, Carthage, how many decks do you have / have you built that you feel constrained by your own restrictions? I wonder because I have built twenty-two commander decks over my history in the format, have another three immediately planned/goldfishing on tappedout, and another ~five that I'm sketching out in my head. Just looking over the list of Dimir generals you posted made me start thinking about how I would go about building Sygg, River Cutthroat life drain or Skeleton Ship -1/-1 counter/cycling synergy. In all that deckbuilding, I've never once thought "man, there just aren't enough options out there." Also, which planeswalkers/artifacts/enchantments were you thinking about to cure this deckbuilding ennui that you have? How big is that list? Can your playgroup just houserule things to let you use them? I do think, more generally, that BloodyWednesday made the best point so far in the thread. 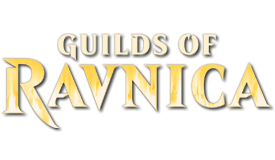 There's no banned as commander list, so changing the rules to allow planeswalkers/enchantments/artifacts/sorceries/whatever as a commander will have unintended consequences for the entire format. I don't know - or necessarily even think - that those changes will be devastating, but it seems a silly risk to take when the format as written is working perfectly well for a large majority of players. 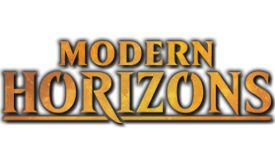 Is Braids, Cabal Minion still banned as a commander for mtgo 1v1 edh? If so, then why on earth would Liliana of the Veil be allowed in the command zone? Walkers are vulnerable to creature/aggro/burn, but not every deck is equipped to handle a walker super early. This is something that even in casual multiplayer tables, every person I chat with immediately shuts down the idea. Yea, Tamiyo, the Moon Sage or Ajani Vengeant coming out early and screwing with lands every game seems really... really bad. So if there isn't an infinite number of options, you're not satisfied? In what way is Phenax unique while simultaneously Wrexial is boring? Unless you are willing to say the same thing about Karador, I'm going to call you a liar. So it's boring if it's weak, and it's boring if it's strong. Good to know. Because nobody has ever built an artifact deck. Absolutely nothing to build around. Phenax changes the whole way you make your deck and offers some synergy. Creatures that can untap themselves, creatures with high toughness, cards that take advantage of the mill etc. Wrexial does not really change how you build your deck unless you want to put in some otherwise weak mill cards to make your mediocre general better. The cards are not even remotely on the same level. Restricting it to just zombies makes a massive difference. You know this. No, it's boring because if you build around faeries synergy it's weak, and to make it not weak you have to forego synergy with your general. Phenax makes all of these cards obsolete by being easier to have on the board, more powerful mill effect, and more interesting deck construction. Circu as a lantern control general would not even hold up at the weakest tables I've played at. No, I think if you legalize all PW's as commanders than you're setting up the return of the "banned as commander" list whose abilities are too strong to be in the command zone. And that happens, you're setting the tone for the list to be expanded to include some other commanders that would likely be on it if the list were still in place. I believe it wasn't all that long ago that Sheldon wrote an article on Scg.com regarding what the return of the list would mean.